If you follow my blog regularly, then you will know that it was only recently that I uploaded a Versace post, and that was on Donatella's SS15 Collection. This collection is the collection which Donatella has released before the next season's shows next season for AW15. There's something about Versace that I love, particularly with this collection. I like how all the looks are similar, but the difference in detailing is beautiful, and I love that there are so many aspects to a particular empowering look. 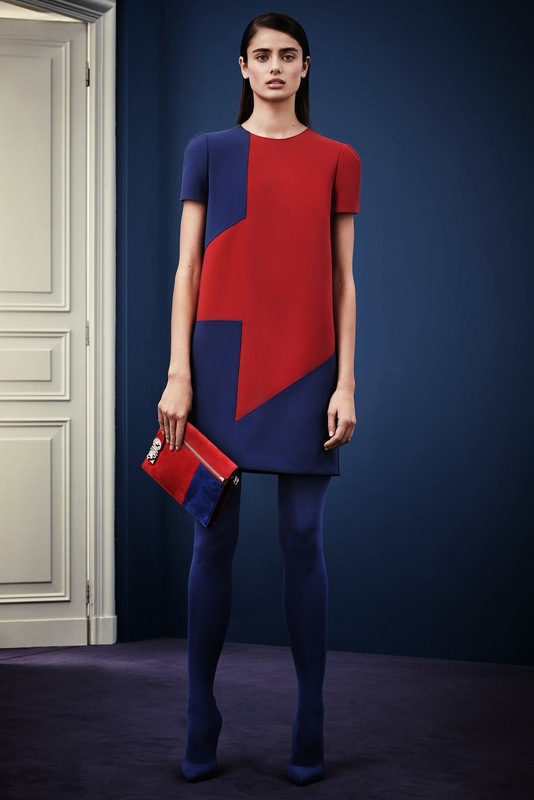 I love the graphic and bold prints that Donatella features into her collections season upon season. 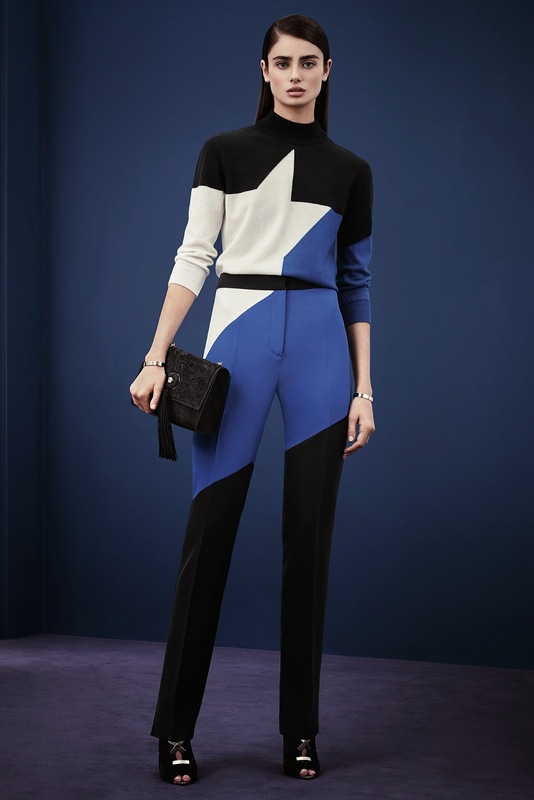 Bold Blues, Blacks and Reds conquered the collection this Pre-Fall and it conveys that classic, strong, Italian vibe within the collection which Versace is known for. The words "Sharp", "Clean", "Bold", and "Strong" come to mind when looking at the collection, which has been photographed in a beautiful Milanese showroom. Donatella has notably moved away from her signature body-con, tight looks - with a more masculine feel this time around. 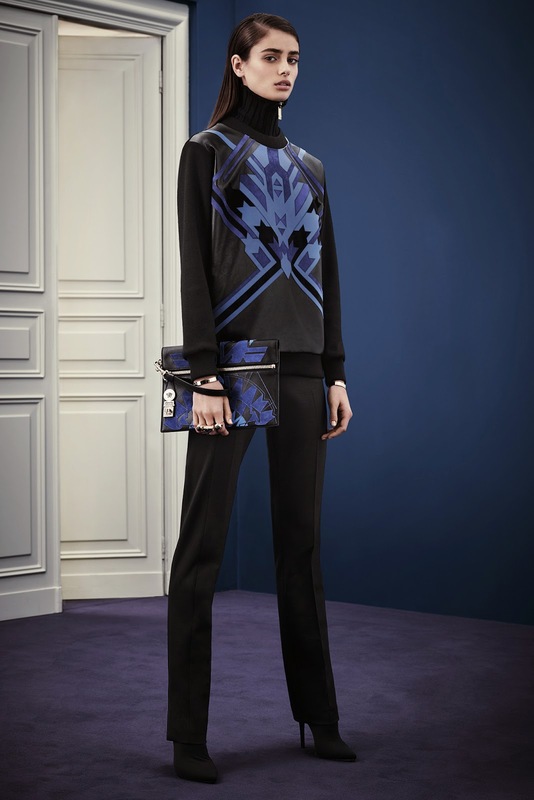 The typical Versace Luxe feel was expressed through the pieces, with a significant modern feel. The infamous safety pins seen on Elizabeth Hurley's dress have been given a modern makeover, redesigned in Swarvoski crystals aswell as gold metal. With all the asymmetric slashes across the pieces, bold colours and beautiful shape - we can tell that Donatella is a wild child at heart and truly understands the modern woman.